At BC Basement Systems, we're proud to provide only the highest-quality cast-iron Zoeller sump pumps to our customers. 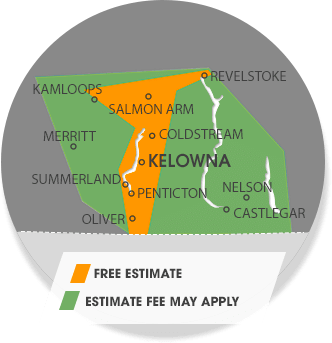 We offer free Zoeller sump pump estimates in the British Columbia area, including Vernon, Kamloops, Kelowna, Nelson, Quesnel, Penticton, West Kelowna, Salmon Arm, Castlegar, Williams Lake, Winfield, Westbank, Coldstream, Trail, Oyama, Chase, Armstrong and nearby. Each quote includes an on-site inspection, written quote, and a copy of our 88-page waterproofing book. Contact us by phone or online today to get started! Basement Systems dealers have been using Zoeller pumps all over the world for more than 20 years, and they've proven their value time and again over the decades. What follows are just a few reasons that we at BC Basement Systems agree that Zoeller Sump Pumps are the best way to keep your basement dry all the time! At BC Basement Systems, we install the powerful Zoeller M53 and M98 models. Combined with our battery backup system, these pumps make for a powerhouse sump pump system that is up to the job of keeping your basement dry. Other models are available for unique circumstances.